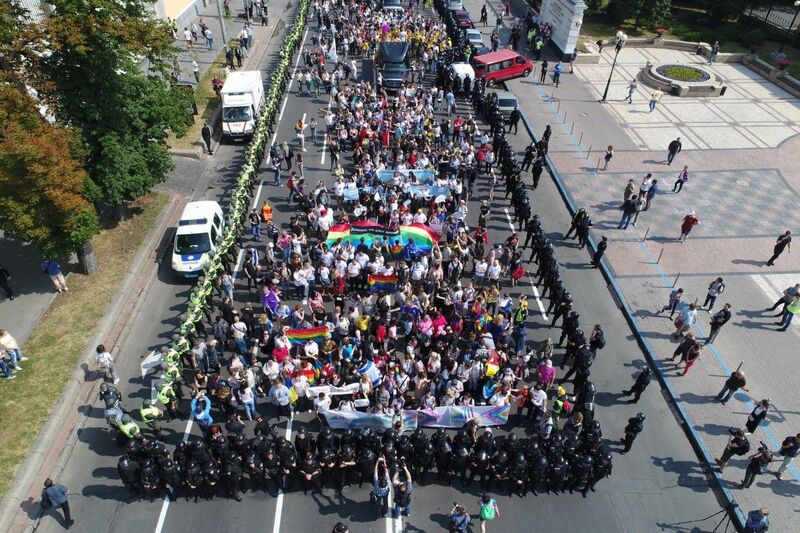 Equality March in Kyiv has been held without provocations as the law enforcement officers managed to prevent them and the participants calmly reached the final point of the procession, Leo Tolstoy Square, according to an UNIAN correspondent. 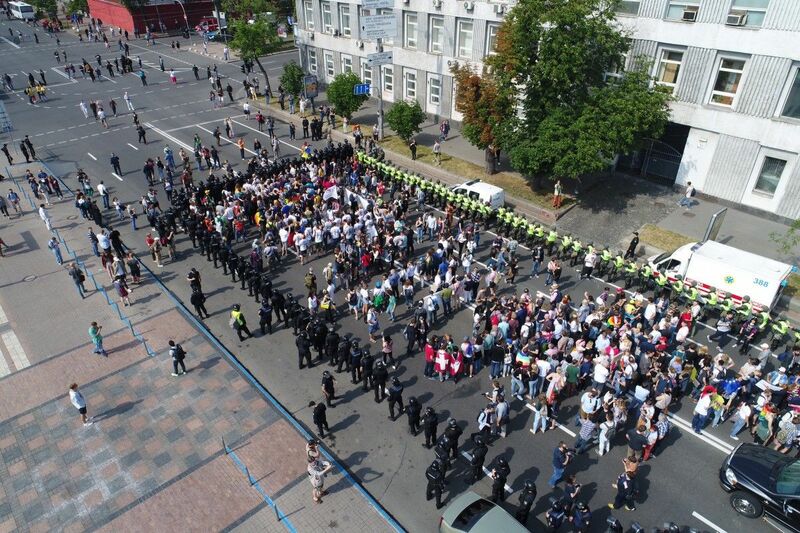 Some people tried to break through the cordon of law enforcers, but they did not succeed. 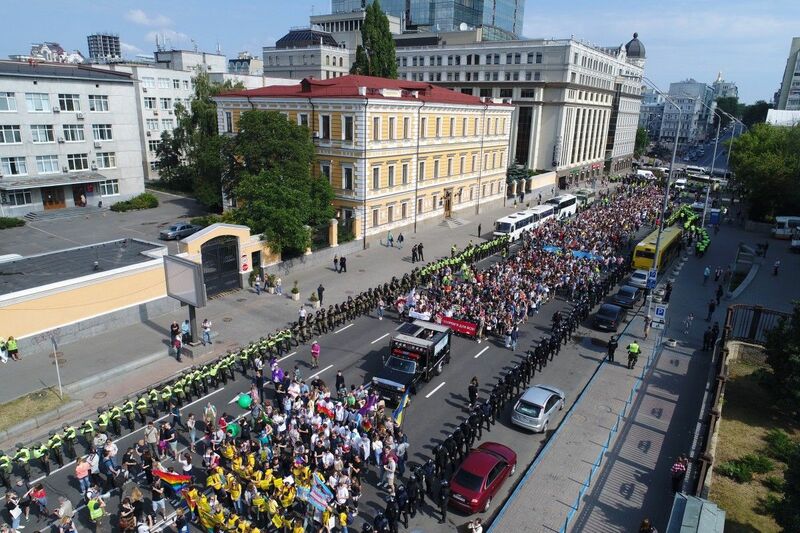 At the same time, one girl from among the opponents of the Pride march took away the flag from a participant of the procession and ran away. 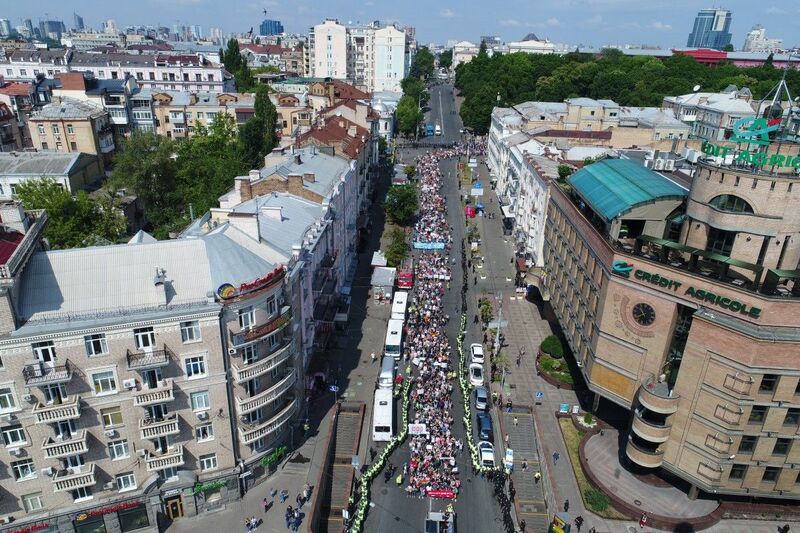 According to the Kyiv Police Communications Department, six people who tried to break through the police cordon are taken to the police station to find out their data and legally assess their actions. 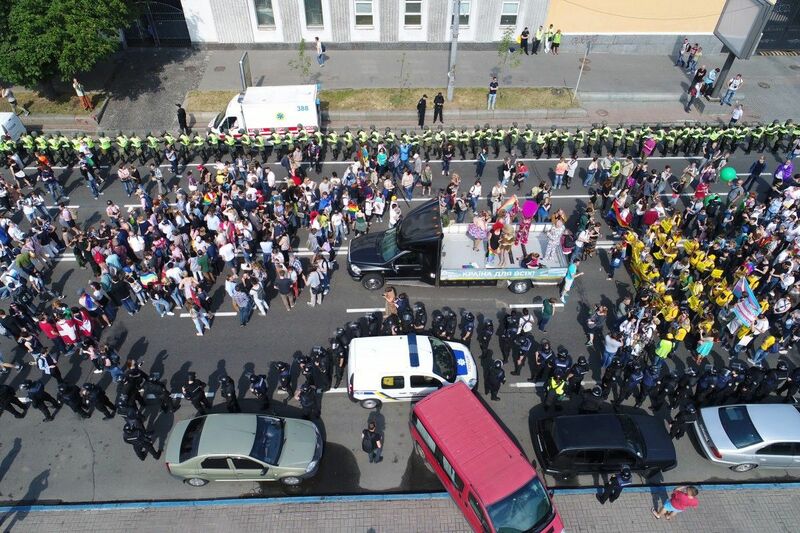 Read alsoKyivPride 2017 Forum kick-off: Burned LGBTI flag, beefed-up security (Photos)When the participants came to Leo Tolstoy Square, the KyivPride organizers asked everyone to thank the law enforcers for providing security. 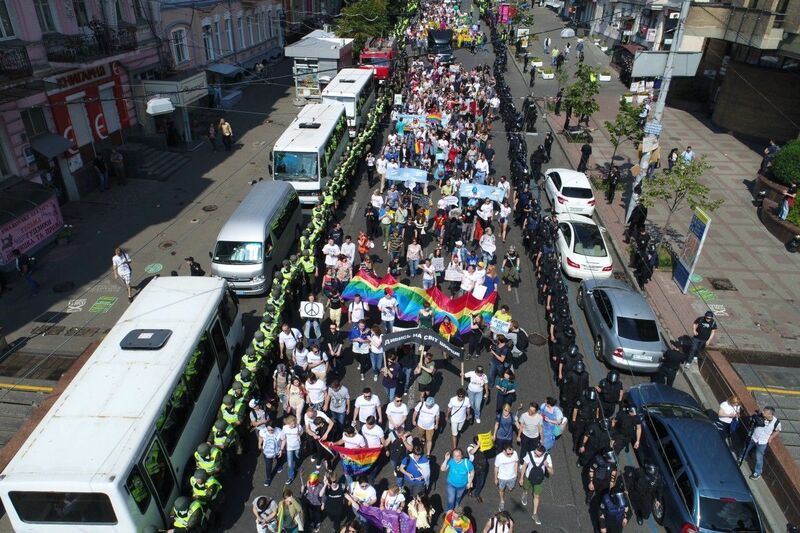 As UNIAN reported, about 1,000 people took part in the KyivPride 2017, including foreign diplomats, members of human rights organizations, and ordinary citizens, while 5,500 law enforcers provided the security of the event.